Professional Certified Translation Service for Immigration, USCIS, Translation of any type of certificate. We are a translation agency that offers certified and notarized translation of documents such as birth certificates, marriage certificates, divorce certificates, diplomas, transcripts and more. 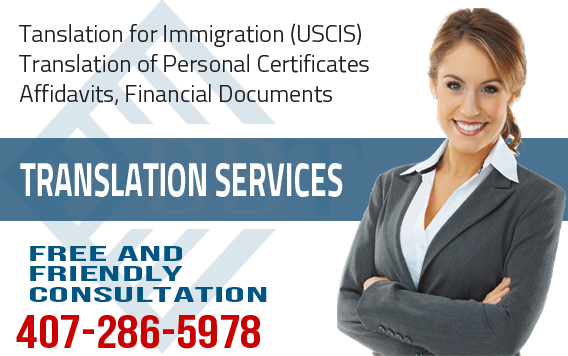 We guarantee full acceptance of our translations by the USCIS and any official entity in the US.